Microsoft Dynamics 365 consolidates World Animal Protection’s systems to give them better visibility for better aid. 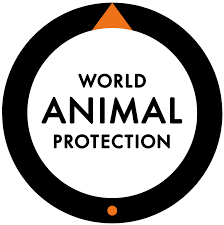 World Animal Protection is an international animal welfare organisation that has been in operation for more than 30 years, providing aid, education, and government outreach to help put an end to animal cruelty. The nonprofit, headquartered in London, has regional hubs in Africa, Asia, Europe, Latin America, and North America, and offices in 15 countries. Why Microsoft Dynamics 365 Business Central? To get the most out of its resources and streamline management of global finances, operations, and sponsorships, World Animal Protection uses Microsoft Dynamics 365 Business Central for a complete, trusted, connected, cloud-based solution. Consistency and consolidation. With Dynamics 365 Business Central, the organisation has consolidated geographically disparate finance and operations processes, and no longer relies on a disconnected network of spreadsheets. Better visibility for better aid. Dynamics 365 Business Central provides better visibility into donors, budgets, and projects, helping the charity make sure funds are being properly managed and put to good use helping animals across the globe. Simeon Lewis, international head of IT at World Animal Protection, said the Microsoft cloud solution, “enables us to use our resources in a more effective way.” And, it helps the organisation stay accountable to its funders. Helping others take action. World Animal Protection supporters have helped make life better for billions of animals. To ensure continued support, the organisation uses Dynamics 365 Business Central to better understand and engage with supporters, stakeholders, and sponsors, without compromising security or personal data. How can you streamline your systems like World Animal Protection? Would you like consistency, consolidation, and better visibility of your business systems? Do you want to engage better with your customers?